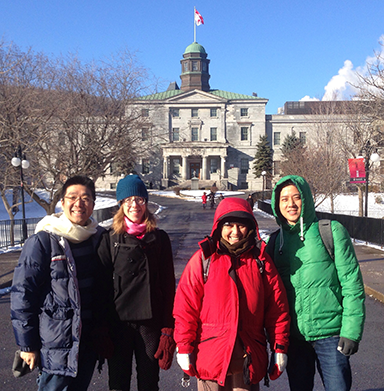 The aim of the Visiting Scholars Exchange Program is to create mutually beneficial and lasting collaborations between faculty at EdUHK and McGill’s Faculty of Education as well as offer opportunities to cultivate research-oriented activities such as co-publications, field projects, knowledge sharing on different methodologies, and public lectures. This year, MIIE invited Dr. Hayes Tang (Department of Educational Leadership) and Dr. Benjamin Chang (Department of Curriculum and Instruction) to work respectively alongside Dr. Naomi Nichols and Dr. Mela Sarkar, both with the Department of Integrated Studies in Education. 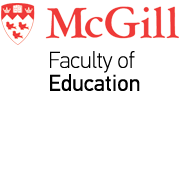 Dr. Nichols organized a two-day Institutional Ethnography (IE) Colloquium for Dr. Tang’s visit, which wove together presentations by graduate students, IE colleagues from fellow universities in Canada and the United States, and keynote speakers. The Colloquium provided opportunity for discussion on a range of challenging topics such as the violation of immigrants’ rights for transgender women, implications of government funding for community-based organizations, and barriers to education for youth who experience homelessness. Dr. Dorothy Smith, who pioneered the field of IE and is now 92 years old, delivered the Colloquium’s first keynote with Dr. Marjerie Devault and Dr. Lauren Eastwood. Dr. Tang and Dr. Nichols co-delivered the second keynote, which Dr. Tang opened with a crowd-pleasing comment that his visit to Montreal marked his first time experiencing snow. Dr. Tang and Dr. Nichols are using the exchange as a platform to collaborate on two co-publications. The areas of focus of their publications are in engaged scholarship for social impact and entrepreneurial discourses in the lives of academics. Dr. Chang presented the work he does on Hong Kong’s education system for three audiences: Dr. Sarkar’s graduate-level class on second language learning, the Second Language Acquisition research group at Concordia, and the Belonging, Identity, Language, Diversity (BILD) research group. Of the many facets of his research, Dr. Chang shared how Hong Kong’s evolving relationship with China is shaping educational opportunities for its diverse population of local and immigrant students. As applied linguists, Dr. Sarkar and Dr. Chang share an interest for hip hop pedagogy. They spent a morning visiting James Lyng High School in Montreal’s southwest borough to learn about their Urban Arts Program which brings together several community partnerships to support student learning and self-expression through the arts.